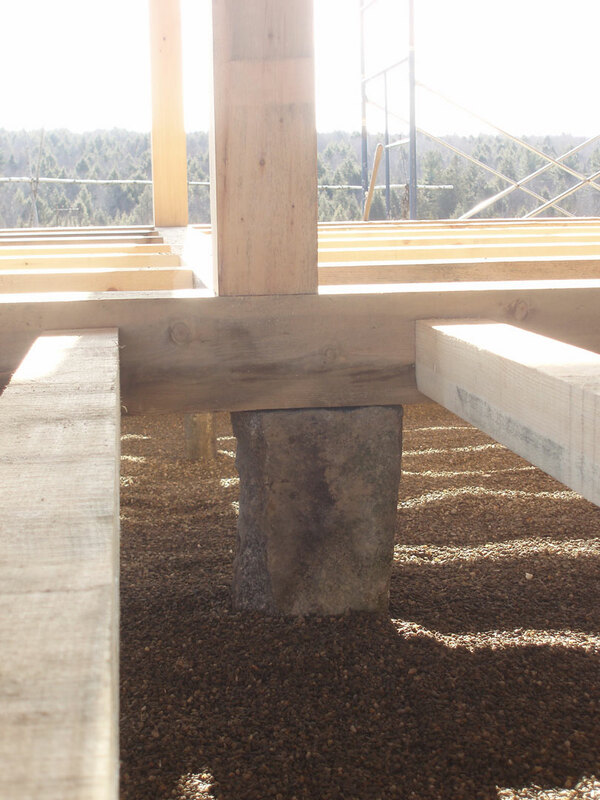 tall posted timber frame with hipped-gable roof. white pine timbers and red oak hips and rafters. collar ties composed of curved live edge oak. live edge oak knees provide bracing in the downstairs while maximizing useable space in a small house where every square foot matters. dropped tie beam in the middle bent allows for cantilevered floor joists expanding the floor area of the upstairs loft. field stone and mortar foundation on rubble trench minimize the use of cement.